Fiona O'Loughlin David Oldfield racism: She slams him for being a racist. "You make my skin crawl." Fiona O'Loughlin unleashes on I'm A Celebrity co-star. 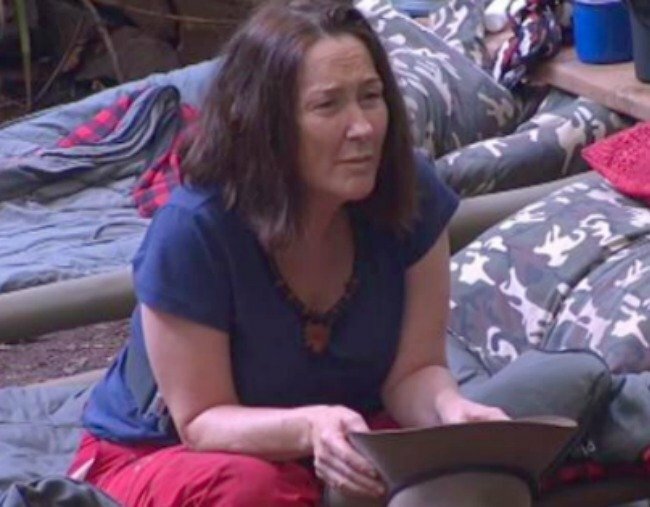 “It’s not just his opinions, it’s his pomposity,” Australian comedian Fiona O’Loughlin told the camera on Thursday night’s episode of I’m a Celebrity… Get Me Out of Here. She’s talking about former Australian politician David Oldfield. The same Oldfield who co-founded Pauline Hanson’s One Nation party. The same One Nation party that “opposes acknowledging Aboriginal and Torres Strait Islanders because it believes that all Australians are owners and custodians of this land”, according to the party’s website. O’Loughlin lived in Alice Springs for 27 years and fostered several Aboriginal children. Her son works with Indigenous people in the Northern Territory. And, when Oldfield began saying he doesn’t think indigenous peoples – from anywhere – invented anything, O’Loughlin wasn’t having it. “I can tell you, there’s a big fat lie – we’ve spread enough lies by saying they were only nomadic – that’s bullsh*t, they actually had crops,” the 54-year-old mother-of-five told Oldfield. Watch the exchange, in part, below. “Oh, you racist pig,” O’Loughlin scoffed. ‘Pretty much’, is the summary of Oldfield’s reply. But it was when the former politician, who is married to Real Housewives of Sydney star Lisa Oldfield, started questioning the value of reconciliation that O’Loughlin really let rip. “Wind bags like you need to shut up and give them time,” she said, challenging Oldfield to speak to her son who works in remote indigenous communities. Why have so many people left this season’s I’m A Celeb? We discuss on our pop culture pod. Post continues after. “Why would I bother?” he asked her. “Because he knows what he’s talking about and you don’t,” O’Loughlin said. “You are hideous to me, HIDEOUS. You make my skin crawl. And just like that, she voiced – rather eloquently, too – the sentiment the entire nation was feeling.